Part 1. 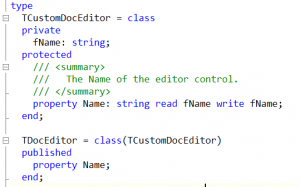 Additional features about Documentation Generation. The generated file name will be basically same as the full name of a symbol. c) For Operators, metadata name will be used. All file names will be random but unique id (like ‘a7ef980f.htm‘). All ids will be persisted into another file which will be loaded next time. By default, the Signature policy will be used. 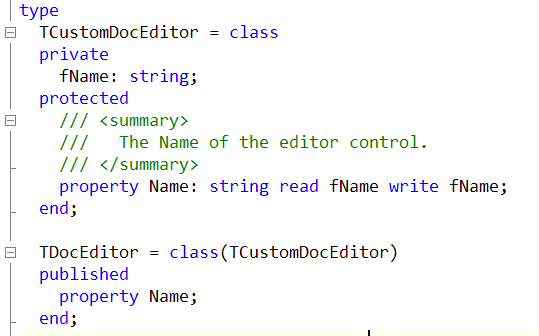 An unique id will be used and saved ONLY when a file name exceeds the max-path. 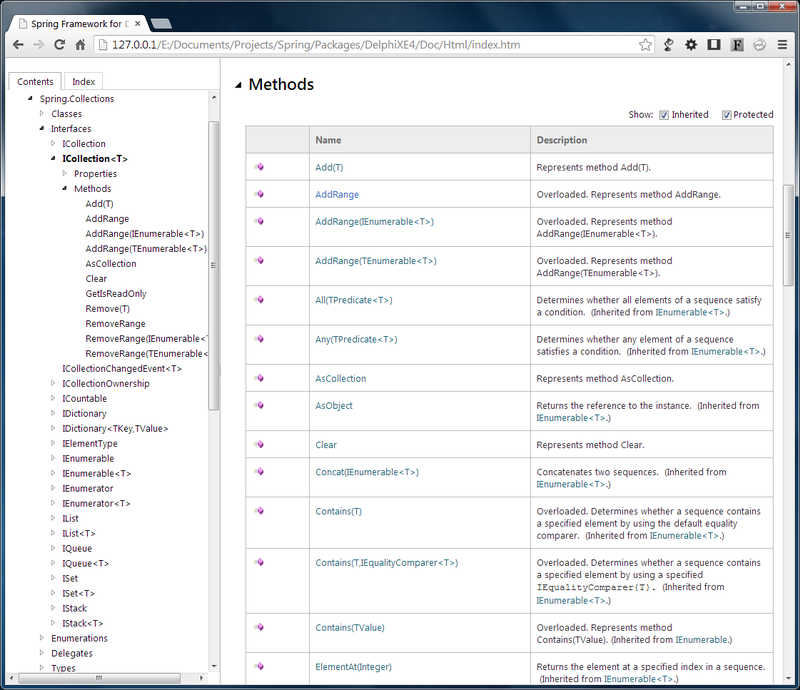 Documentation Insight 3 allows you to choose external documentation storage to keep source code clean. A fixed repository file (DocInsight.ini) will be placed in your project ROOT folder. 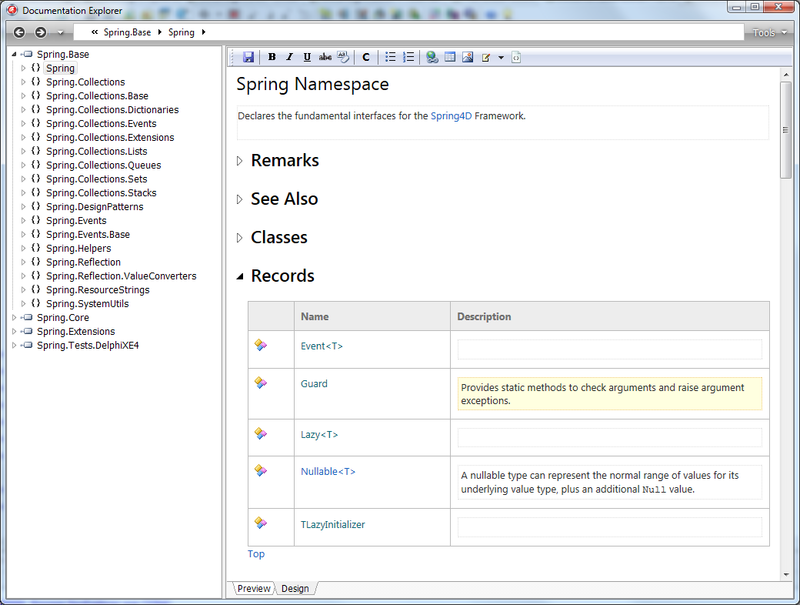 A drawback is that the documentation will not be displayed in the built-in Help Insight feature. More details will be published in later documentation. 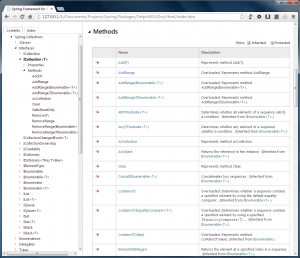 Documentation Insight 3 is a brand new version. It includes significant new features and improvements. 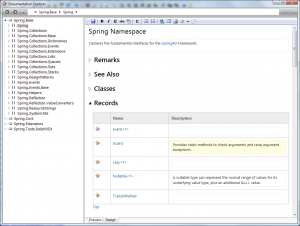 Since it is close to announce first Beta version of Documentation Insight (DI) 3, let’s take a look at some parts of DI3 in this Sneak Preview series. 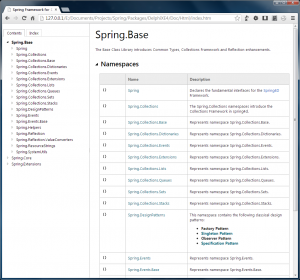 In this preview, you will experience the new Documentation Generator. Compared to previous classic presentation, the new VS2012 (like) presentation style in DI 3 is more clean and elegant. You may organize the units by Projects. 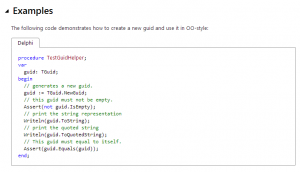 The documentation in project source will be showed in the corresponding topic. 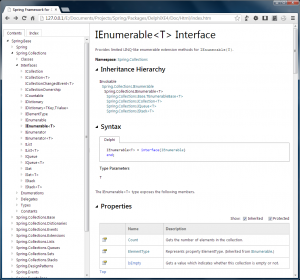 For class and interface types, all base types and derived types are showed in the inheritance hierarchy. 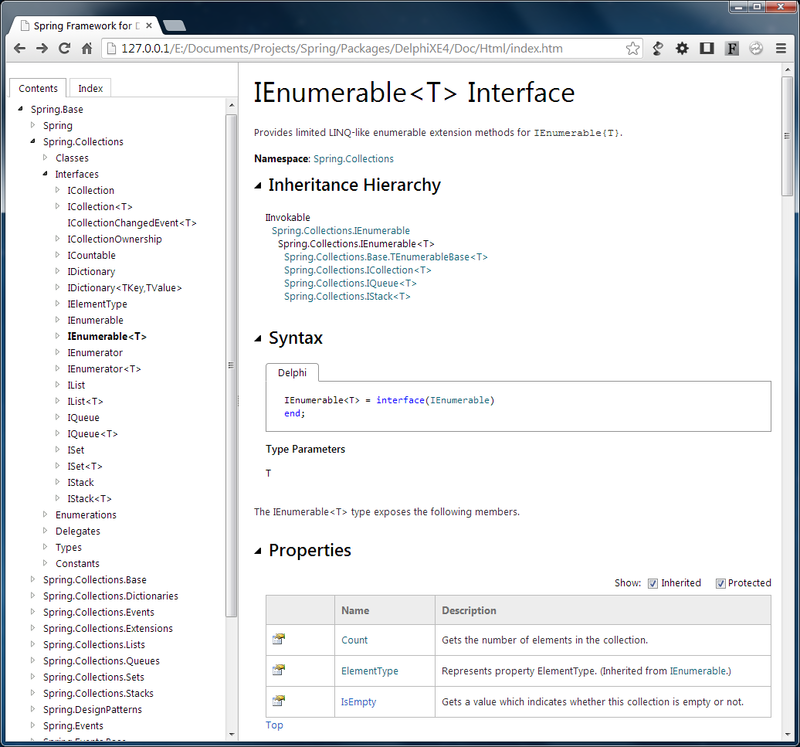 Both the syntax prototype and code examples will be highlighted. 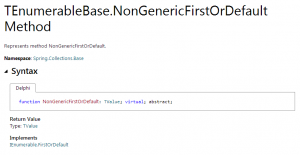 There will be additional information if a member has overloads, or overridden a member, or what methods of interfaces was implemented by this method. Method resolution clause is also supported. 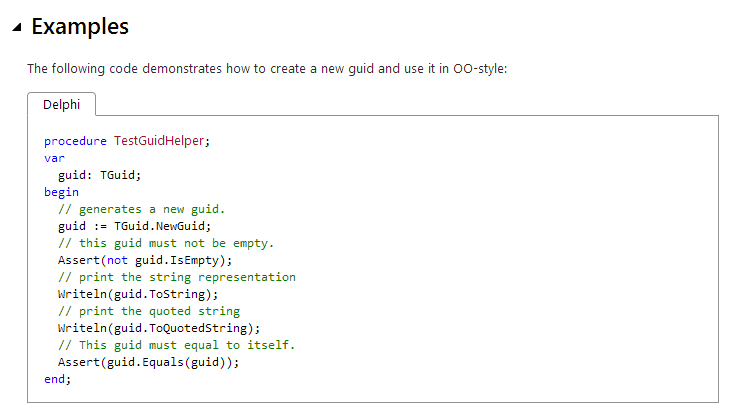 The documentation generator will try to reveal documentation from overridden members or implemented members. Say you documented an interface IList<T> and TList<T> implements the interface, then All members of TList<T> will inherit documentation from the interface IList<T> if available. We spent several months to reveal Delphi grammar and built our own compiler front-end from scratch. Therefore, it is possible to resolve symbols in code. Initializes a new instance of the TFoo class. * Some keywords will not be highlighted. 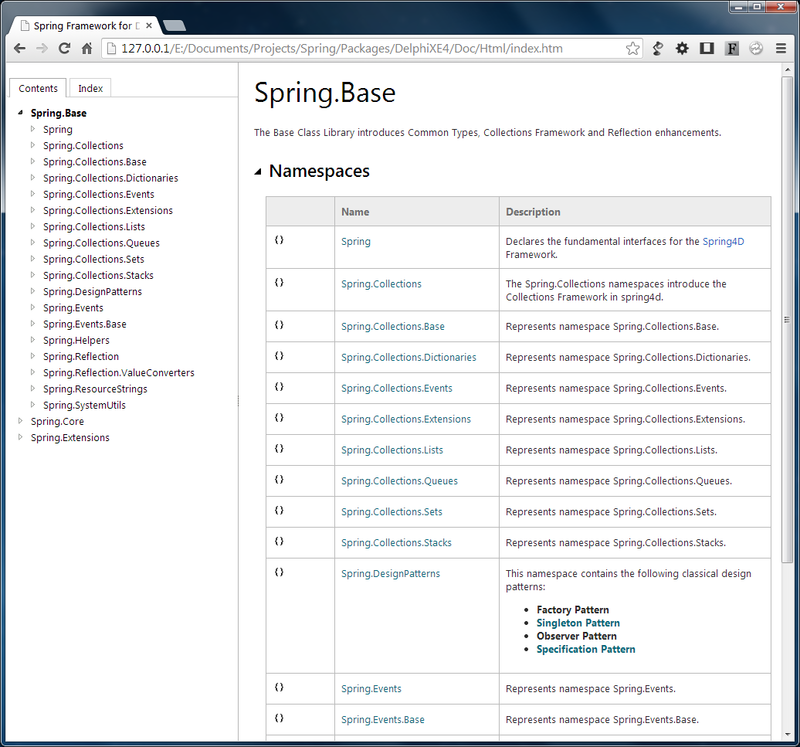 * The default topic was not synced in the TableOfContents.